Gemma comes to The Wenlock School with extensive classroom and leadership experience from a range of educational environments as well as a Master’s degree in Education. For the last three years she has worked at Longdon Hall School, where her most recent position was Assistant Headteacher holding the responsibility of Curriculum, Teaching and Learning. Prior to her appointment at Longdon Hall, Gemma established a British International School in Phuket, Thailand, where she also taught for nine years. The skills she gained setting up the school are put to good use as she builds a new team and sets the foundations in place to provide outstanding care for children at Wenlock. Gemma is driven by a passion and determination to help every child in her care to become a confident and independent member of society. 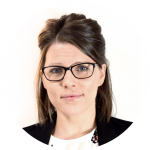 Through the provision of a broad and balanced curriculum, Gemma wants to create a rich and relevant learning environment tailored to the unique needs of each child. She is particularly looking forward to establishing the vocational learning opportunities at The Wenlock School to support young people up to the age of 18. Having helped the team at Longdon Hall to achieve ‘outstanding’ status, Gemma is determined to see The Wenlock School emulate that success.